DUKE OF MARMALADE (IRE) (Bay 2004-Stud Ire/Aus 2009, South Africa 2014). 6 wins-1 at 2, Royal Ascot Prince of Wales's S., Gr.1. Sire of 619 rnrs, 326 wnrs, 31 SW, inc. Simple Verse (The St Leger, Gr.1), Nutan, Sound of Freedom, Star of Seville, Big Orange, Big Memory, Ming Zhi Cosmos, So Many Shots, Quaduna, Venus de Milo, Wannabe Better, Diamond Made, Can'thelpbelieving, Duchess Andorra, Hall of Mirrors, Lady Cumquat, Moofeed, Duke Derby, etc. Poet's Wish (f. by Dylan Thomas). 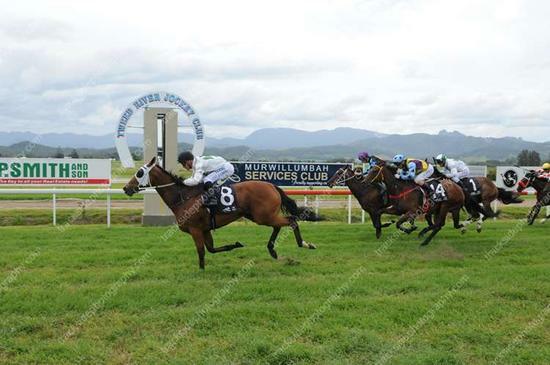 Winner at 1100m, BRC Landfill Logistics H.
Citrus Wish (f. by Duke of Marmalade). Winner. See below. Gift of the Gab (g. by Fastnet Rock). Winner at 1200m in Aust. Lucky Quality. 5 wins at 1200m, HK$3,418,600, HKJC Jebsen Industrial H., Rugby Football Union Cup, Calla Lily H., Peninsula Golden Jubilee H., Causeway Bay H., 2d HKJC Yan Chai Trophy, 3d HKJC Leung King H., Youth Services H., Lugard H.
Fly With Me. 3 wins from 1100m to 1600m, BRC XXXX Gold P., 3d BRC Wiseman's (No Mis) S., Lyndhurst Stud P.
Blarney Wish. Winner. See above. Lokelani. 8 wins from 1150m to 2000m, A$92,445 in Aust. GOSSAMER SEED (Choisir). 3 wins-1 at 2-to 7f, €89,380, Curragh Athasi S., Gr.3, 3d Leopardstown Ballyogan S., Gr.3, Cork Midsummer Sprint S., L.
Sixty and Steele. 12 wins from 2200m to 3100m, €78,210, 15,405fr. in France and Belgium, Vichy Coupe des Champions, 3d Deauville Prix de Quetteville. Hey Roody. Winner at 2, Saint-Cloud Prix de Noirval. Cool Sky. 8 wins from 1½m to 2m, Sandown Aquariva Tequila H., 3d Haydock Beer Studio H.
Play Just for Me (Stravinsky). 3 wins to 1100m, A$85,983, MVRC Essendon Jeep Wrangler H., 2d Oakbank S., L, 3d MVRC Essendon Mazda 55 Second Challenge H. Producer. Stravinsky's Image. 4 wins at 1000m, 1200m, A$83,210, MVRC Aquanas Foods H., MRC Redoute's Choice H., QTC Strike Sparks H., 2d BTC Mittys P., MRC Reveille H., MVRC Legends After the Last H., 3d MVRC Timbercorp H. Producer. LIVE IN JOY (Kitten's Joy). 12 wins-1 at 2-from 5f to 8½f, US$329,496, to 2016, Penn National Capital City S., L, 2d Indiana Downs J Kenneth Self Shelby County Boys & Girls Club S., L, 4th Ellis Park Cliff Guilliams H., L.
AURORA SLEW (Slew's Royalty). 8 wins to 6½f, US$269,744, Oaklawn Park American Beauty S., L, 3d Santa Anita Irish O'Brien H., L. Producer. TURSANAH (Roberto). 3 wins-2 at 2-at 6f, 7f, Leopardstown S., Gr.3, Phoenix Park One Thousand Guineas Trial, L, 2d Curragh Blandford S., Gr.2, 4th Curragh Moyglare Stud S., Gr.1. WOROOD (Vaguely Noble). 3 wins. See above. MANGAYAH (Spectacular Bid). 2 wins at 1800m, 2400m, Longchamp Prix des Tourelles, L, Chantilly Prix Fould, 2d Chantilly Prix du Chateau, 4th Longchamp Prix de l'Opera, Gr.2. Producer. WILDER JAGER (Mulberry). 6 wins-1 at 2- in Germany, Preis der Stadt Baden-Baden, L, 3d Frankfurt Trophy, Gr.2. CACHE CREEK (Marju). 6 wins from 1m to 1¼m, £145, €174,990, Gowran Park Denny Cordell Lavarack Memorial S., L, 2d Cork Blue Wind S., Gr.3. Producer. CLEVER CODE (Lost Code). 10 wins at 5½f, 6f in U.S.A. and Argentina, Fairplex Aprisa H., L, 3d Canterbury Park Shakopee Turf Express S., L.
Race Record: 11 Starts 1-0-0 A$12,900. Winner at 1550m in 2016-17 in Aust.